St. Paul Lutheran School in Westlake, Ohio has a full-time 3-year-old lead teacher position available for the 2019-2020 school year. Interested applicants may go to: school.stpaulwestlake.org for a job description and e-mail a Letter of Interest and resume to Principal Jeremy Louden at: [email protected] Questions can also be directed to the school office at: 440.835.3051. Bethany Lutheran School in Parma is seeking to fill an intermediate/middle school teaching position in a departmentalized setting. The primary content areas are 5th-8th science & 5th-grade homeroom/religion. This outstanding teacher will inspire our students to study God's heavens, the work of His fingers, the moon and the stars which He set in place [Psalm 8] with Christ at the center. Based on background and credentials, other content areas (including P.E.) may be added. Please email Principal, Bill Moses, at: [email protected] for more information. Are you interested in being placed on our sub list? Geographical location you can sub or take a position in? Fairlawn Lutheran Church & School in Akron, Ohio, is looking for a full-time Director of School Ministries. They currently serve approximately 120 students in 7 Pre-school classes and full and half day Kindergarten. Fairlawn Lutheran School has earned Nation Lutheran Schools Accreditation and is very well-respected in the community. If you would like more information about the position, please contact the School Ministry Team Chair, Bob Fischer, at [email protected] . 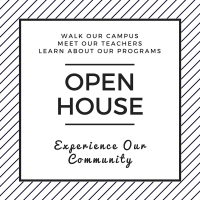 For more information about Fairlawn Lutheran Church & School, please click here or send an email to [email protected] .